Mergers, Acquisitions, Divestitures and Decommissions often result in orphaned employee data and documents. Many companies are paying $US 100,000-500,000 annually to keep legacy enterprise HR and Payroll systems up and running. Fuse delivers a comprehensive solution for data and document storage as well as a fully web based application that emulates common HRIS platforms. This enables organizations to quickly migrate data and documents and distribute reporting throughout an organization to all levels of users. Pre-delivered global data models for HR, Payroll, Time, Compensation, Absences, Recruitment, Training and Events, and Benefits. NoSQL based backend allows extension of data structures for organization specific data for all data types: structured, semi-structured, unstructured + document and file management. Adjustable security model to protect select datasets, documents and PII (Personally Identifiable Information). 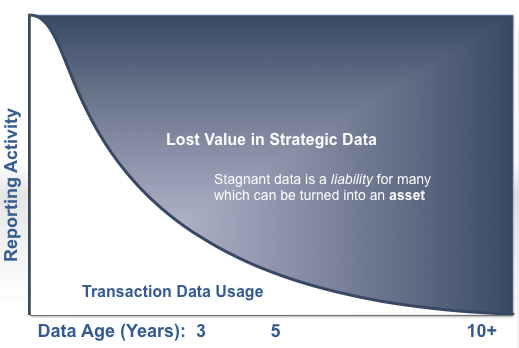 The Fuse Analytics platform helps customers turn their data liability into an asset. Archiving: Ability to more easily decommission legacy system data to reduce license and maintenance costs yet retain real-time data access. Consolidate global HR and Payroll systems (SAP, PeopleSoft, ADP, Ceridian, etc.) along with in-house, SaaS, Cloud, and various MS Access and Excel data sources. Keep analyst headcount needs low by providing reporting directly to Executives, Business Unit Managers, Region Managers, and Line Managers. Analytics: Baseline historical data to advance insights and launch predictive HR metric capabilities. Leverage external data in addition to internal data to identify opportunities for improvement (e.g. salary/compensation variances, other industry KPI benchmarks). 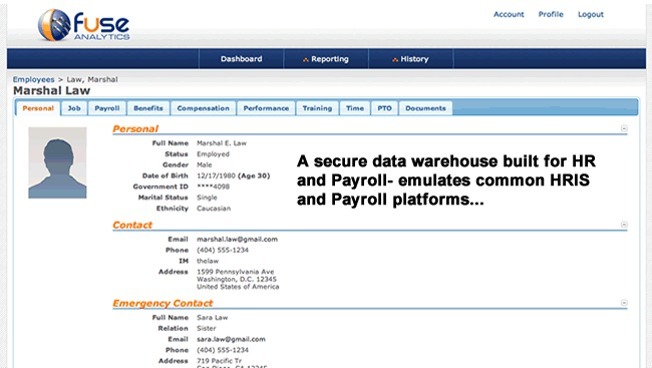 Compliance: Secure the HR and Payroll data + document life cycle. 100% web-based, it’s easy to deploy even in the most decentralized of global organizations. Open standards such as ISO, HR Open (XML), JDBC to facilitate future integration needs. Flexible and secure architecture options purpose built for Enterprise HR Data + Document Management.